The hotel has maintained to preserve its historical significance untill nowadays amongst a number of important sightseeing objects. 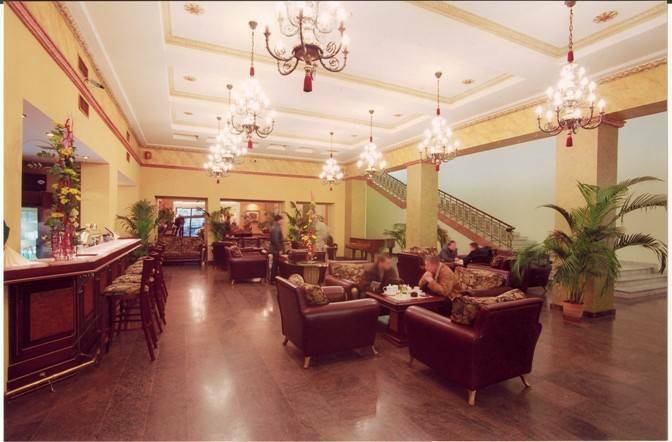 The hotel "Riga" is a gateway to the Old Riga (Vecriga), where all the main historical and architectural monuments, embassies, banks, shopping and entertainment areas, as well as other cultural heritage objects are within easy reach. 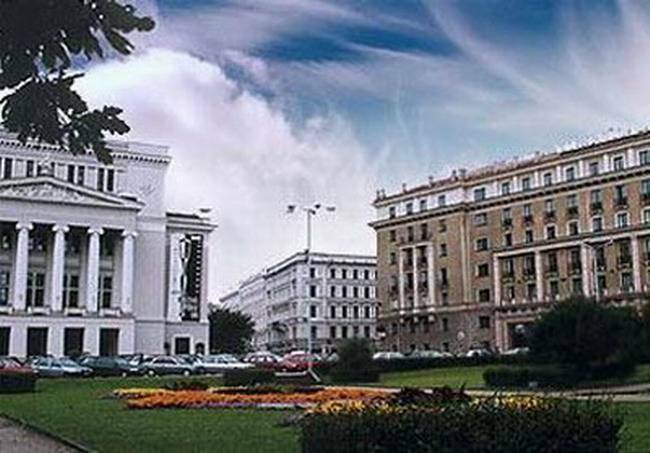 It takes only 20 minutes drive from the International Airport to the hotel "Riga", and 5 minutes walk from the Central Bus and Train Stations. 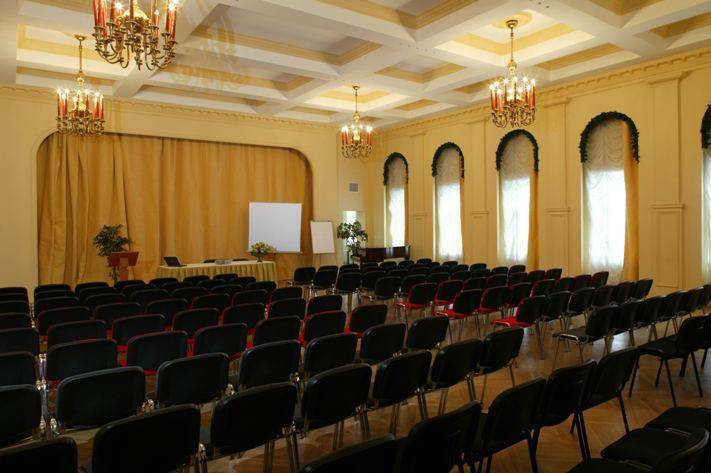 a la carte restaurant "Palm Garden"
All rooms have modern interior and light elegance, accompanied by the excellent view to the Old Riga and Opera garden. 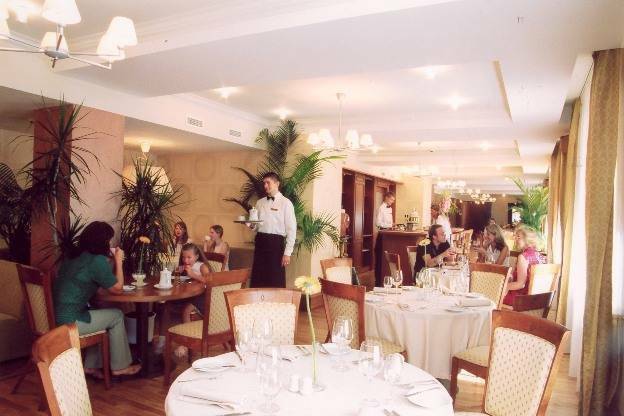 Restaurant "PALM GARDEN" is one of the most elegant dining places in Riga, offering delicious a la carte cuisine to individual guests, small parties and banquets. Kindly advise any cancellation within 24 hours prior to arrival date. Otherwise, one night will be charged as No Show. card or pre-payment for the room.